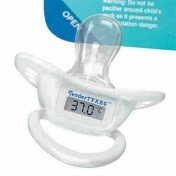 Mabis thermometer with fast 60-second digital readout. 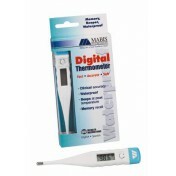 For a Mabis digital thermometer with clinical accuracy and a peak temperature zone, this device is an excellent choice. A fever alarm sounds for temperatures above 99.5 degrees Fahrenheit. 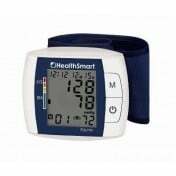 The Mabis thermometer also features a memory recall ability with the last reading and an auto shut-off for when it is left on. 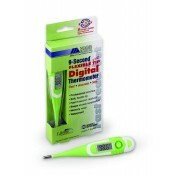 I have a digital thermometer model 15-691-000. I replaced the battery and it keeps reading E. It won't give me a tempeture reading. Whats wrong? We cannot make any specific recommendations regarding items on our site. It's best to contact the manufacturer for the best resolution to the issue. I would like to have the operating instructions for this product in English please.